Read the first article in this two-part series by Ken Curtis here. Bob I can see by what you've said already that these books really have been unsettling for you. Jerry You're right about that. After our conversation last week, I was thinking that I had things pretty well in perspective...and I think I did...but what I did not expect was that there would be so much more. Bob More than just the practice of reflecting on God's graciousness at the end of the day that we talked about last week? Jerry Oh yes, much more! That was just the beginning! Bob So what are some of the other concerns? Jerry I don't think we have enough time here this morning to touch on all of them. Bob Well then, give me an example or two. Jerry OK, to start with, there is this practice called "lectio divina" that the books I am reading say is infiltrating the church everywhere and leading people astray. Bob Oh, OK. I am familiar with that practice. It is a way of reading scripture that literally means, in Latin, "divine reading." I am not sure I would use the word "infiltrating" in connection with it though. Jerry Yes, it is a Latin phrase, the language of the Catholic Church, which gives you a clue about it's origin. Bob Well, to be more accurate, Latin was the language of much of the scholarship at the time that we begin hearing about lectio divina being used. It was not exclusive to the Catholic Church. But, many church documents from that era were indeed written in Latin, so I guess that should not be too surprising to find a Latin label for the practice. As I recall, lectio divina was used a lot in monasteries, and much of the scholarly material there was also in Latin, or perhaps Greek. While Latin sort of came to be the "official language" of the Roman Catholic church, it was certainly not limited to the church at the time. Jerry But lectio divina was used by people at monasteries, right? Bob Yes, it was one of the ways that those who came to the monasteries studied and reflected on scripture. Jerry Yes, and that is what they say makes the practice so dangerous. Bob Because it was used at a monastery? Jerry Well, yes, because, for one thing, that means it has Catholic origins. But is is also because it is such a mystical practice. Bob Catholic origins? Well, I suppose you could say that. Of course you could say that about pretty much any religious writing that happened in church history up to the Reformation, because, aside from a few relatively small groups of believers here and there (and of course scholars tell us there were other diverse Christian communities all over the place too), in very general terms "catholic" is kind of a blanket term that describes most Christians at the time. In fact, up until the Great Schism of 1000 AD when the church leadership split between Rome (Roman Catholics) and Constantinople (Eastern Orthodox), pretty much everyone was considered "catholic" since the word simply means "universal." Even the reformers that came later on thought of themselves as "catholic" until they broke away from the church. Jerry Well, OK, so maybe it doesn't make much sense to use the "catholic" label that way, but what about the "mystical" part of the practice? Doesn't that sound a bit concerning to you? Bob I guess it depends on what you mean by "mystical." I mean, simply being someone who believes in a God that is real and at work in the world makes you "mystical" on some level, doesn't it? Jerry I suppose...but the way the term is used in the books I've been reading...they use it to refer to people who are going off into strange trances, or having out of body experiences, or encountering spirits of some sort, or engaging in some kind of eastern mysticism, or being led astray by some kind of inner subjective experiences. Bob Well, that sounds interesting, but I am not sure what that has to do with lectio divina. Jerry The books say that is what it is all about. Bob Really? Maybe there are some "mystical type people" (in the sense they are using the word) that may practice things like lectio divina or other things that look like it, who have experiences like that, but that is not what the way the practice is used today by any Christian groups I know of...and I know of quite a few...and have actually read a lot of their stuff about it. Jerry That's sure not how they make it sound in the books I'm reading. Bob Which makes me wonder if the people who are writing those books have really taken the time to talk with the people who actually use those practices today, or have really, carefully, studied them, so that they fully understand what they are talking about. Sometimes it is easy to read into things, ideas that you think are there when in fact they are not. Talking with the real people, or reading things in context in many places today is becoming an endangered skill! Jerry So, you are saying, that lectio divina is probably not a dangerous thing to engage in? Bob Do you even know what lectio divina is? Jerry Well, not exactly...I mean, not beyond the way it is described in what I am reading. What exactly is it? Bob In a nutshell, lectio divina is simply a way of reading scripture that invites you to pay attention to what the passage is saying and to what God might be saying to you in the passage. Bob In the classical way it was practiced lectio divina had 3 or 4 parts that can be summarized as follows: Reading (that's the "lectio" part) in which you slowly and reflectively read (or listen to someone read) a passage of scripture through several times; Reflecting (sometimes referred to "Ruminatio" or "Meditatio" ) in which you sort of "chew on" whatever seems to be impressing you about the passage you are reading (sometimes this is seen as two steps, other times they are combined); Resting or enjoying the sense of being with God as you do this (sometimes referred to as "contemplatio" which is what we get the word "contemplation" from); and then finally talking to God about what you are getting out of the passage ("oratio" or oration - what you might say or speak in response). That is the basic "pattern" of lectio divina. It's not all that complicated or particularly mysterious - and the parts don't even have to happen in any particular order - or all of them happen all of the time. Jerry Well, that doesn't sound like anything too troublesome, although the Latin words might be hard to keep track of. Bob Well, since you don't speak Latin, you probably don't need to worry about the words. In fact, a lot of people who find this kind of practice helpful don't use the language at all. Jerry So, if I understand this right then, all we are talking about is taking unhurried time to read scripture, reflect on what it means as we try to pay attention to what God might be trying to communicate to us in that passage, sitting with it awhile as we enjoy being with God, and then talking with God about what we have learned? Bob Yup, that's about it. Although, there are a lot of variations of the process that you will find in how it is used. For example, some have structured it as (1) Reading scripture through once, paying attention to what you seem drawn to in the passage (2) reading it through again, this time noticing any feelings or emotions that you notice associated with what you are drawn to, and then (3) reading it a third time, this time paying attention to what it is that God might be calling you towards or inviting you to consider from reading the passage. That's another variation on the practice, but the basic movement is the same. Jerry Yeah, I can see that. Basically, it's taking unhurried time to be with God in scripture, noticing what God might be wanting you to see there, and then responding to what you are learning - all the while doing so realizing God is with you in the process. Doesn't sound like there is anything very sinister about that. Jerry Then what is all the hoopla about? Bob There are lots of reasons that people get concerned about things. Sometimes there are "issues" behind the "issues," which are not obvious or may even be unconscious, that drive concerns like this. Sometimes it might be because of a previous bad experience that was of such a nature that they now read that experience into others that seem similar, but in reality, may not be at all. Sometimes it might be because something is practiced by someone they don't like or disagree with for other reasons, and so it becomes a matter of guilt by association. Still other times, especially if they think a conspiracy of some sort is involved, people can begin to see connections between things that are really not there. They may know just enough to connect things together that seem to be similar or related, but may not know quite enough to fully understand the things they are connecting, and in the process wind up distorting or misconstruing things, sometimes smearing the names of people connected with these things in the process. Jerry And I suppose the more you think there is a conspiracy of some sort at work, the more anxiety can get injected, and that can raise the level of intensity to the point that people stop really listening to each other, and only start listening for things they want to hear...kind of like what often happens in political conversations. Bob Yes, and pretty soon it's not about listening and understanding each other any more, but simply asserting the point you want to make, without much regard to the damage done in the process. Jerry But, something else I wonder about, is whether or not this is a good way to read scripture. I mean it sounds kind of subjective...like the text could wind up saying just about anything. Shouldn't we be concerned about solid background study, context, meanings of words, and stuff like that, rather than just about how the text may impress us? Bob That is an excellent question, and one that gets at the heart of how a practice like this can be misused. The answer is, "Of course we should!" What people sometimes forget is that this practice arose in the context of monasteries among scholars who were doing the best they knew how to do just that. 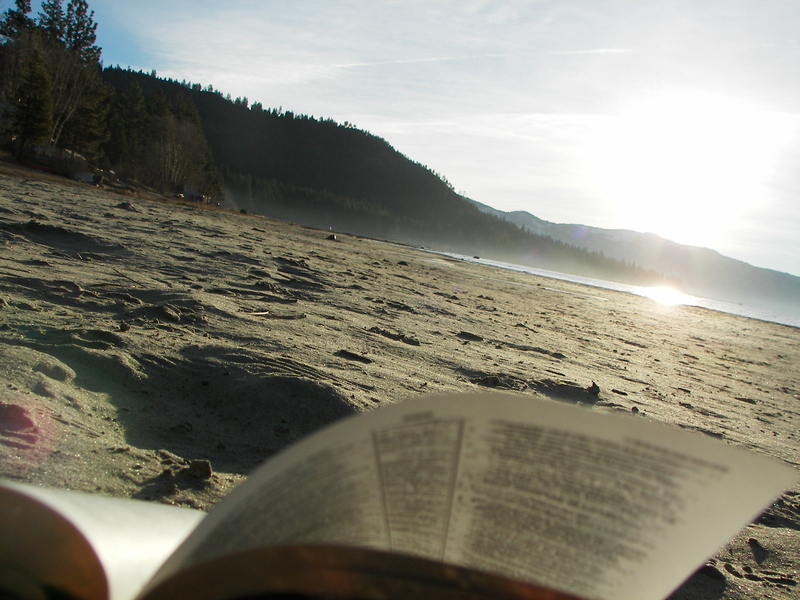 Lectio divina is not a practice that replaces careful Biblical study, or even contrasts with it - but rather, you bring the best scholarship and information you have with you as you engage the practice. The better you know and understand the text and what it is trying to say in its own context, the more clearly we can hear how God might like us to see how that text applies to our lives. Good scholarship actually helps us to hear more clearly! Jerry Oh, so it is not "either or," it's "both and"! Bob. Exactly! Of course there is a difference between entering into an academic conversation (which is primarily focused on information) and a personal one (which is mostly focused on getting to know someone and being responsive to them as a person)...all you have to do is ask your spouse, and they can tell you the difference...but information and careful listening do not have to be antagonistic to each other. They actually can enhance each other. Jerry Yes, that makes sense! But you know, on another note, some of the books I've been reading do point out things about people who use things like lectio divina that I really don't agree with. What about that? Bob Well, that is really nothing new either. People always explain what they are doing in the context of what they believe. If, for example, I believe that when I die I go immediately to heaven, when I am sharing what is on my heart at a funeral service, I will probably make my comments in a way that reflects that belief - because that is the only way I know how to explain what I am thinking. If however, I believe that when I die I rest in God's loving embrace until the resurrection morning when I am raised to life again, any comments I make will very likely reflect that belief for the same reasons. But we already know this and make these mental adjustments all the time when we are talking to and listening to each other - appreciating the point or idea someone is expressing even if we would explain it a slightly different way. Which is why, however much we may disagree or think differently about the state of the dead, we can still find great value in a funeral service itself as we meet together to mourn our loss, celebrate a life that was lived, and look forward in hope. Jerry It really would be sad to refuse to take part in a funeral service, or see funerals as part of some sort of deceptive conspiracy, or be afraid of them, simply because people explained things differently, or because we did not fully agree with everything that everyone there believed. That would kind of be like throwing out the proverbial baby with the bathwater. Bob I agree. But now that we have solved another of the great issues of life for the day, there are some other issues I also need to get to before too long. Jerry Yes, I need to get going too. But I am glad we've had time to talk. There are so many more questions I have from these books...maybe we can get to them next week. After praying together, and leaving a generous tip, Bob and Jerry parted company for the morning, though they would often return to bits and pieces of their conversation as they went about their tasks for the day. As they left the café and stepped into the flow of people traffic on the sidewalk outside, the sun was just emerging from behind the clouds, and a soft breeze was beginning to blow. Ken Curtis is Associate Pastor at Calimesa SDA church and blogs at KensFootnotes where this article originally appeared July 30, 2012.